Turns out at least one person reads this blog….and they commented as to how I haven’t posted a full on knitting movie review in a while. Since I take my fans very seriously, I spent last weekend watching movies. See if you can spot the theme. Ya’ll, Dax Shepard wrote, directed and starred in this movie. He’s officially a triple threat. Michael Pena was talking trash about Dax needing his name on everything so Dax stunt drove for the car chase scene towards the beginning of the film and the credits now read Stunt Driver for Michael Pena: Dax Shepard. This movie is funny and the story and action are solid enough to watch it over and over again. I don’t want to blaspheme, but it reminds me of Bad Boys. That said, now I need to address a serious issue I had with this movie…the facial hair (SPOILERS AHEAD). 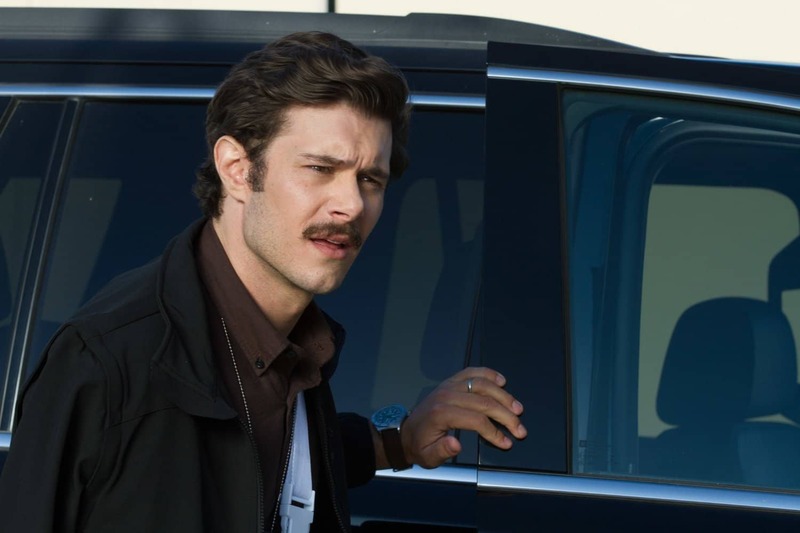 The two stereotypically hot actors (Josh Duhamel and Adam Brody) had gross mustaches in this movie. Adam Brody is one of my biggest celebrity crushes and all I could think was, “just no”. I’m sure the filmmakers were doing some kind of retro mustache tribute, but…..not everyone can pull off a mustache like Tom Selleck. Veto. I also wonder if Dax Shephard was looking to be the hottest guy on set? In which case, well played, Dax. However, he overlooked the drugged out son sporting an “i forgot to shave for a couple days” beard which is pretty much my ideal facial hair. I blame Indiana Jones (and 17 years with The Husband who likes to sport the short beard). I don’t know who was in charge of making Justin Chatwin (you may recall him as Jimmy from Shameless) look like a druggie, but they could have committed a little more. His mussed hair and fresh beard were perfection, so he looked like maybe he’d just been up super late at a knitting slumber party the night before. I wasn’t sure I could buy Simon Pegg as the leading man in a rom. com. and he totally pulled it off. Must be the beard. This movie was cute, funny, and all around enjoyable. I’ve no idea why I didn’t watch it sooner. Bonus: Lake Bell is sporting a nice cream colored knit hat with a pom pom. What do we think? Seed Stitch? I dig it! My expectations were low. This film exceeded them. If you enjoyed the animated version, I think you’ll like this movie…unless you have to watch it more than once. In which case, I’m sorry. Don’t kill me, but I would have preferred the Beast actor to have darker hair and 2 days of beard growth. The transition from Beast to clean shaven and blonde was too drastic for me. Anyone else on that boat? If you’re bilingual, I think you’d enjoy this film quite a bit. If the filmmakers want to manage expectations, they need to dub it in English or go back to the original title, Todos queremos a alguien. Jen Lilley sported a red cabled sweater, a cozy plain gray cardigan, a purpley blue cabled hat and a wine colored cowl-necked sweater during this film. I only noticed some of these. Probably because I’m knitting a cable pattern myself. 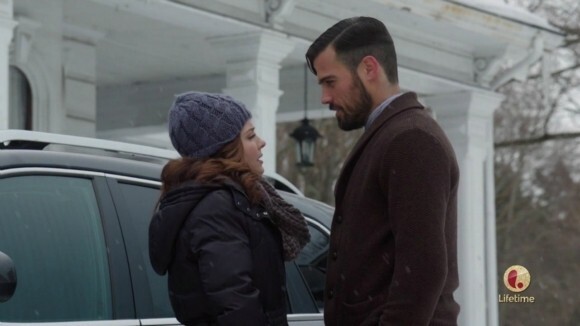 No one is winning an Academy award for these films, but if you’re in the mood for Christmas romance, The Christmas Spirit will deliver and of course, it doesn’t hurt that our leading man (Thomas Beaudoin) is sporting a great beard.